The Satellite Gallery in the Arroyo Chop House foyer represents the shared vision of Pasadena-based private art gallery, American Legacy Fine Arts (ALFA), and Smith Brothers Restaurants to provide stimulating experiences that offer a "feast for the eyes" with exceptional works of art, also available for acquisition. 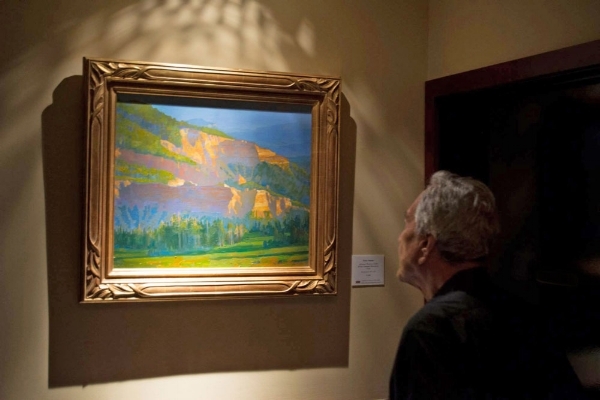 In addition to highlighting ALFA's contemporary artists, the Arroyo Chop House has a private collection of historic American Scene Painters of the 1930's and 1940's on permanent display throughout the restaurant. "We are proud to collaborate with American Legacy Fine Arts in enhancing the restaurant with curated selections of original works of fine art to create an exclusive aesthetic experience for our guests."